Beavers are back at the pond, good for Frogs ! My favorite pond for photographing Gray Tree Frogs and Spring Peeper Frogs is a Beaver’s pond, but sadly 2 years ago the beavers were killed by humans. Since there was no more beavers for the last 2 years the water level of the pond was very low and last year it was completely dried out by mid summer and a lot of tadpoles died before having time to complete their metamorphosis. So last year was not a good year for the frogs and for my frog photography sessions, it didn’t last long. One of the 3 beavers that i’ve seen this spring, a blurred vision in low light. 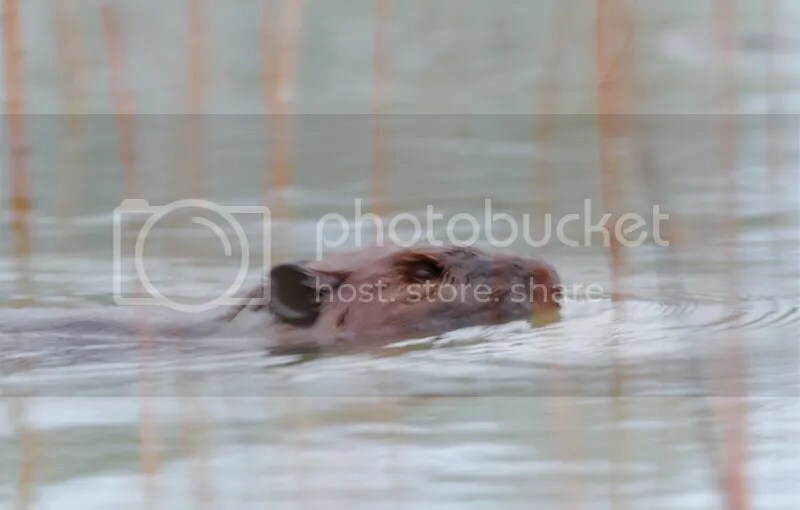 I panned with my camera as the beaver was swimming close to me. Canon 7D with 400mm/5.6L, ISO 800, 1/25 sec. at f/5.6, tripod. I had a surprise last week-end when i went to see if i could find some frogs and saw 3 beavers and a big pond full of water, and to top this i heard some frogs singing even in the cold morning (it even snowed later in the day). I was more than happy for the little frogs, hope that the beavers will not get kill this year. Here is a video i made last summer (2012) of that pond, where i walk to take that video this year with the water level i would be walking in waist level water . You can see the result of a very dry year and no beavers present to maintain the water level. Beaver’s pond are important for frogs and insects, it’s a great place for reproduction and make that place home. 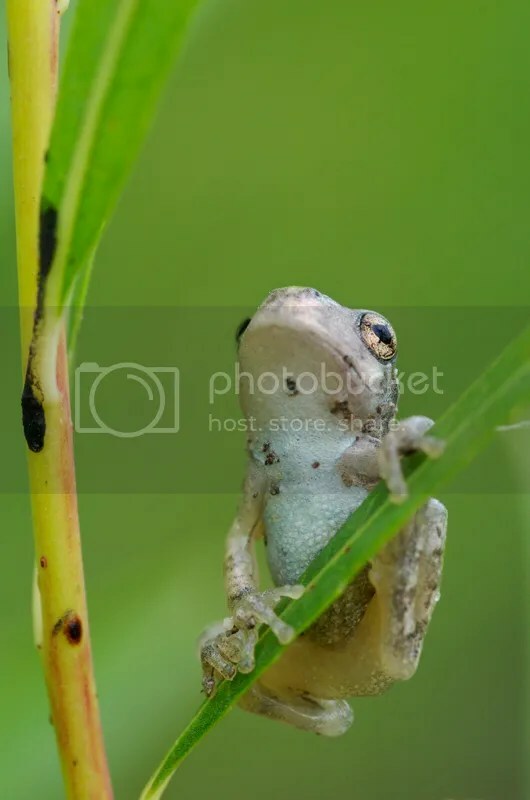 If everything goes well it should be a great year for frog reproduction, especially for the Spring peeper and Gray tree frog because at the edge of the pond there is a lot of vegetation and small trees to hide in. At that pond in past years i also saw Leopard frogs, Green frogs and American Toads. 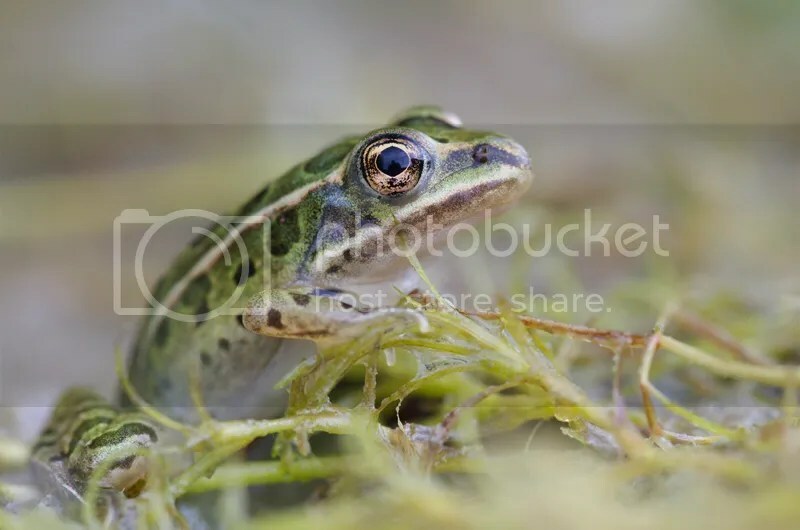 Leopard Frog on moss on the shore of the pond. Pentax K-01, Pentax DFA 100mm Macro WR, handheld. Young Gray Tree frog in a tree along the shore of the pond. Pentax K-01, Pentax DFA 100mm Macro WR with TC 1.4X, tripod. 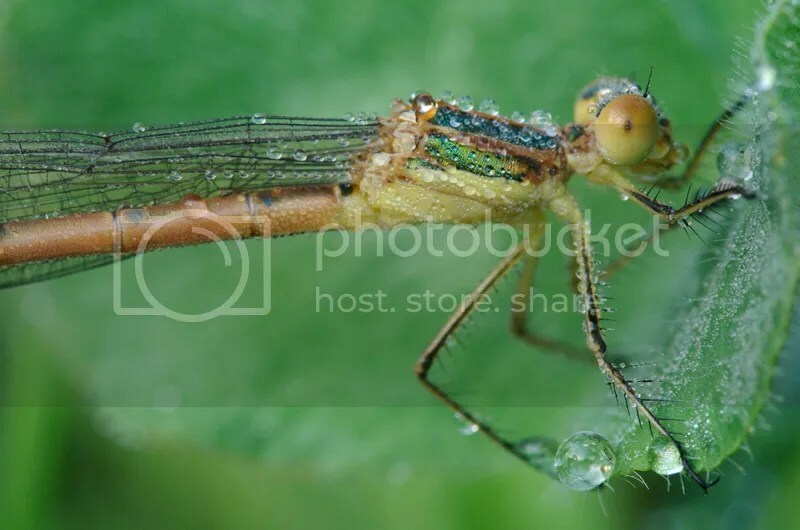 Damselfly are another resident of beaver’s pond. I’m looking forward to see how the season will go, hope to make some good frog shots and now of beavers also ! 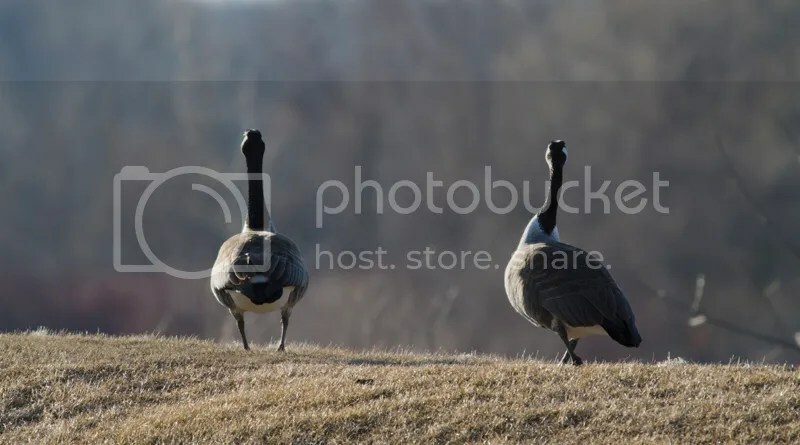 Canada Geese out of the water. 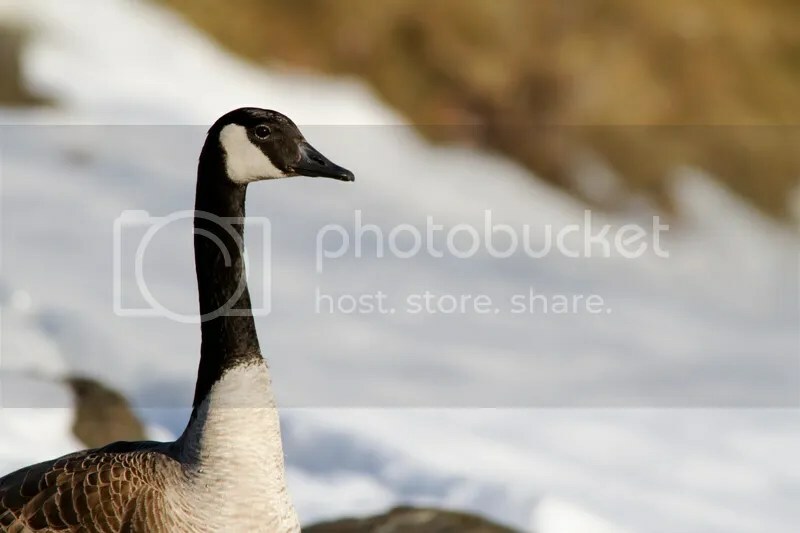 Canada Geese during spring migration can be found eating grass and can be photograph even if it’s not the best looking environment. Try to make the most out of the situation by doing close-ups or getting interesting interactions. Canon 7D with 400mm/5.6L, tripod, RAW. Canon 7D with 400mm/5.6 L and TC-1.4X II, tripod, RAW. 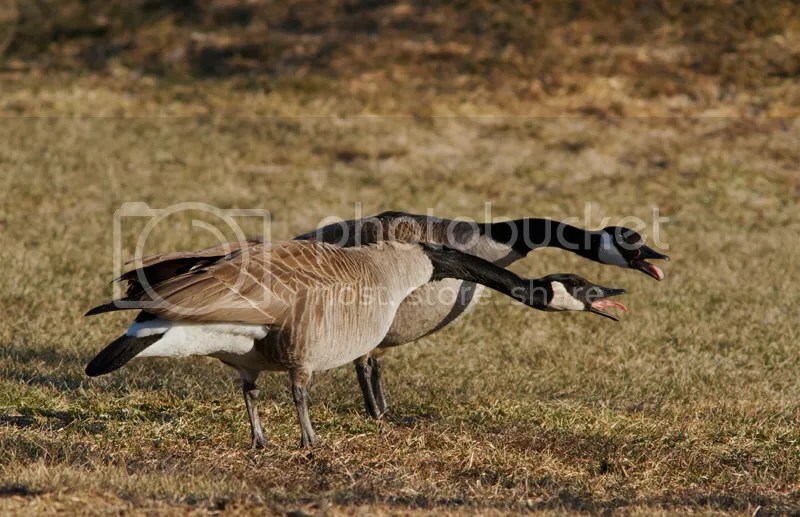 At the end of my photo session the 2 Geese were quite close. Canon 7D with 400mm/5.6L and TC-1.4X II, tripod, RAW. Not my sharpest shot but i like it. 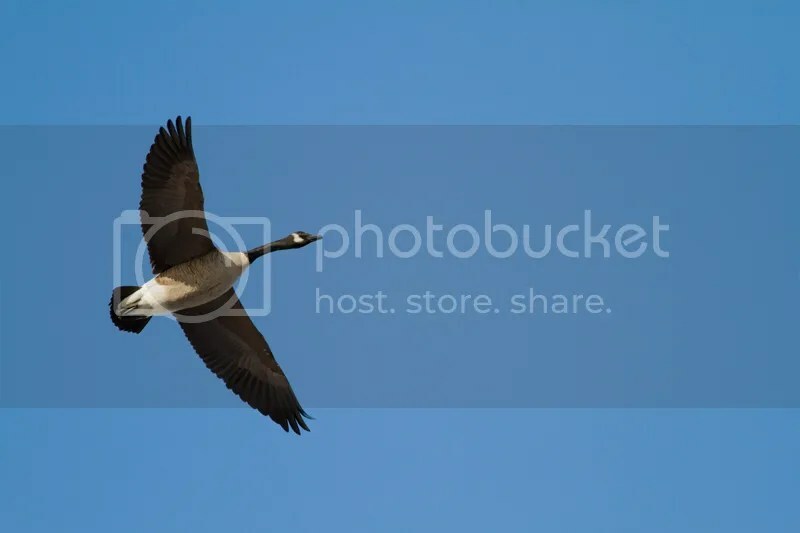 Canada Geese are coming back to Canada and they are flying everywhere this week, i even saw Snow Geese. 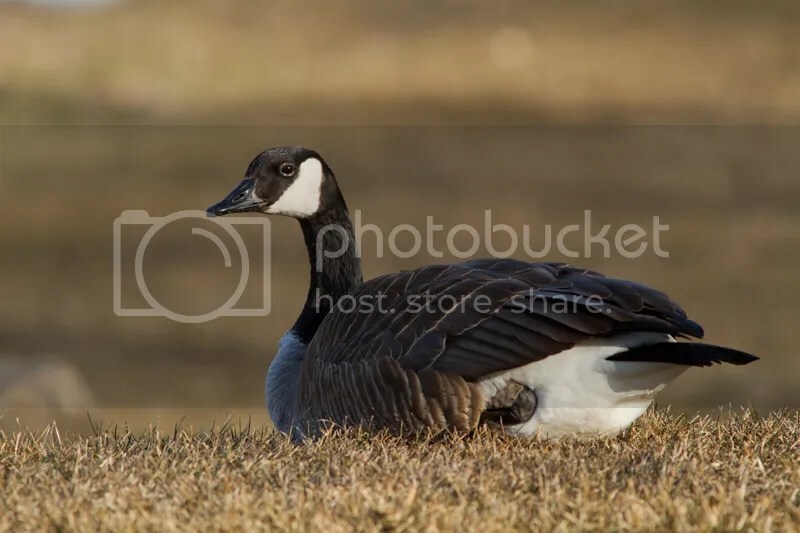 So i went to the shore of the St-Lawrence river near my home where i knew i would find Geese, each autumn and spring there is a lot of them there. 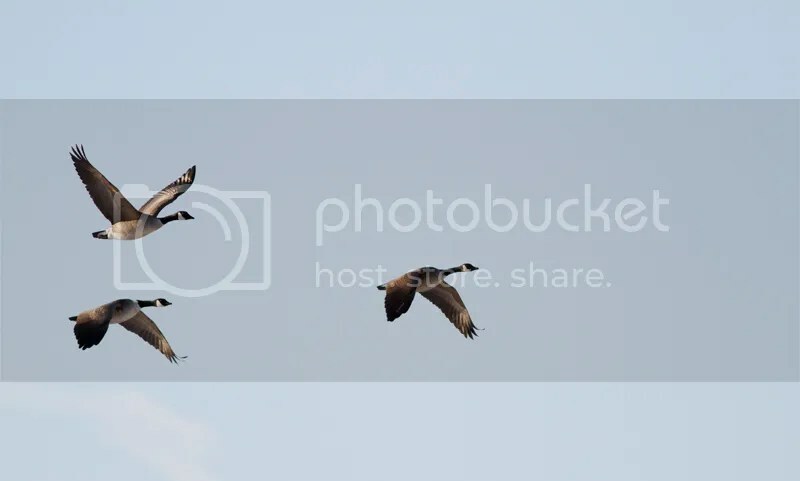 I positioned myself on a hill and the Geese were taking off and flying at different distances, some too close to fit in my viewfinder with my 400mm lens. I was able to test and feel the 7D and 400mm/5.6L combo and see how the AF would perform handheld for BIF. ISO 500, 1/1250 sec. at f/5.6, handheld. For all the photos i did use the AF point expansion (manual selection) and AI servo, i uses the AV mode for exposure. For a first try it was good, will need more practice as i need to be smoother while panning to follow the birds. The AF worked well but at the beginning the light level was lower and my shutter speed was not fast enough, it was below 1/800 sec. When the sun came out my shutter speed was higher and my keepers were better. I really like the Joystick to select the AF points, it`s fast and easy to find with your thumb while keeping your eye glued to the viewfinder. 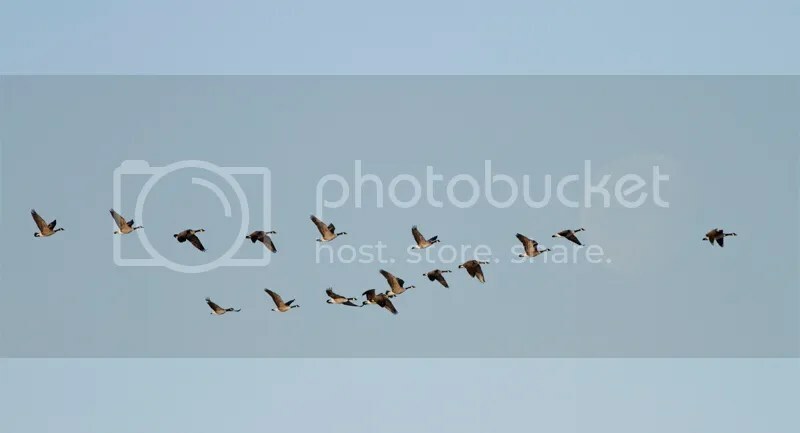 The biggest challenge was to expose the Geese correctly, they have black, white and brown feathers and the sky was partly cloudy so the backgroung was always different , ranging from darker blue to white. 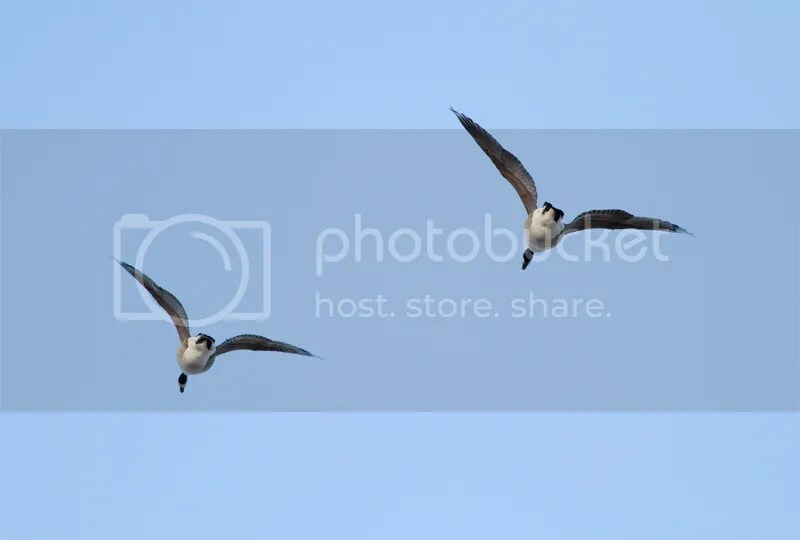 The bird were also flying at different distances and occupied more or less space in my viewfinder which affected the exposure, so i had to costantly correct the exposure compensation. All photos were taken in RAW and cropped for composition purposes. ISO 500, 1/1600 sec. at f/5.6, handheld. I waited until some Geese were flying in front of the moon, i would have liked the moon to be more evident. ISO 500, 1/2000 sec. at f/5.6, handheld. Not their best profie ! ISO 640, 1/1600 sec. at f/5.6, handheld. 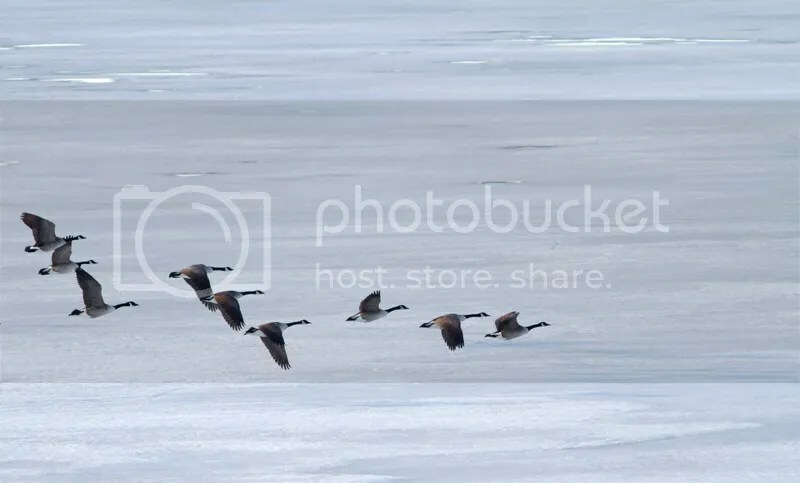 Taking off over the ice. ISO 640, 1/1000 sec. at f/5.6, handheld.